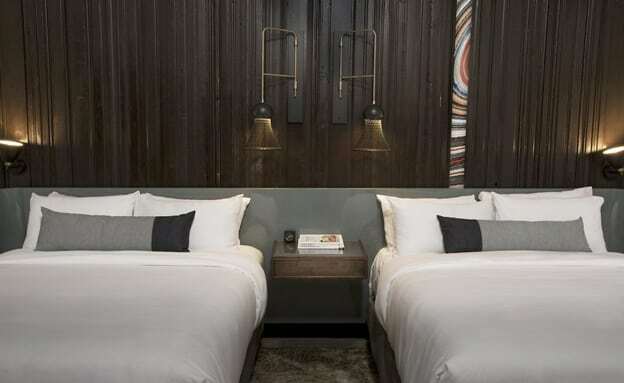 The Foundation Hotel and The Siren Have Started a Design Revolution in the Motor City. 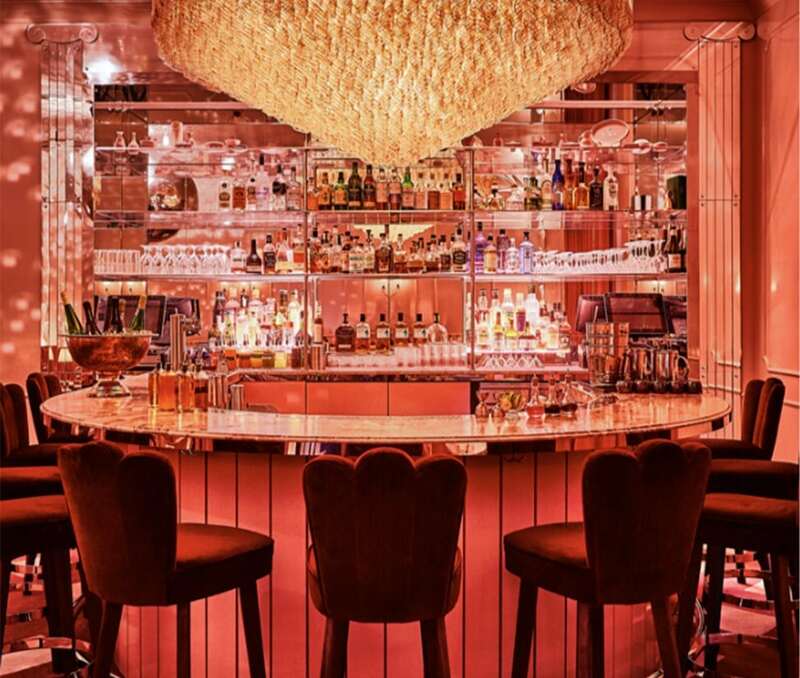 What do a former fire station and a bar with cotton candy-colored walls have in common? 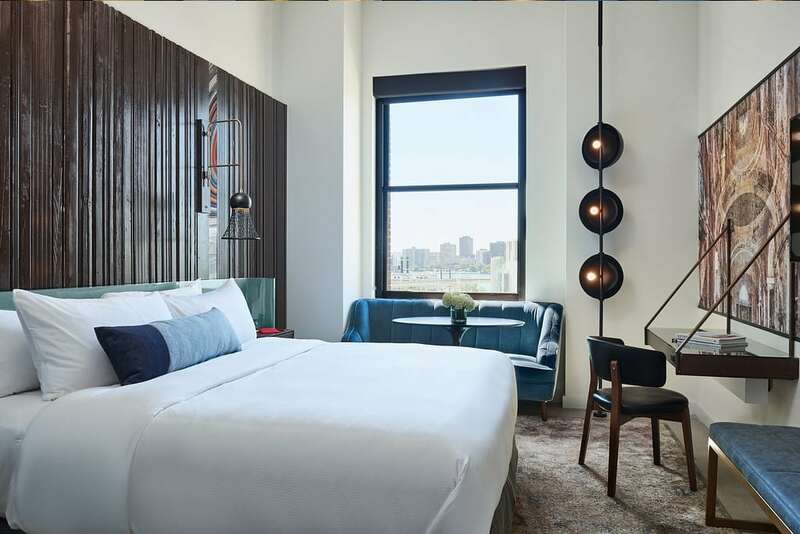 They’re both part of Detroit’s impressive collection of new hotels and a rich source of design inspiration for all of us. Designers Jay Britto and David Charette have had the pleasure of staying in Detroit for business in recent months. 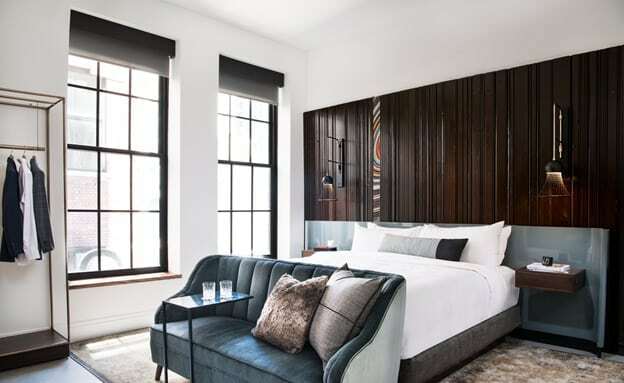 Hotel interiors play a big role in their travels—serving as inspiration for what to do and, well, what not to do in interior design. The Foundation Hotel and The Siren? They’re doing it right. Neoclassical architecture that was emblematic of progress and prosperity during Detroit’s golden era is being refurbed and refashioned with an eye toward preserving the city’s beautiful landmarks while sprinting toward the future. 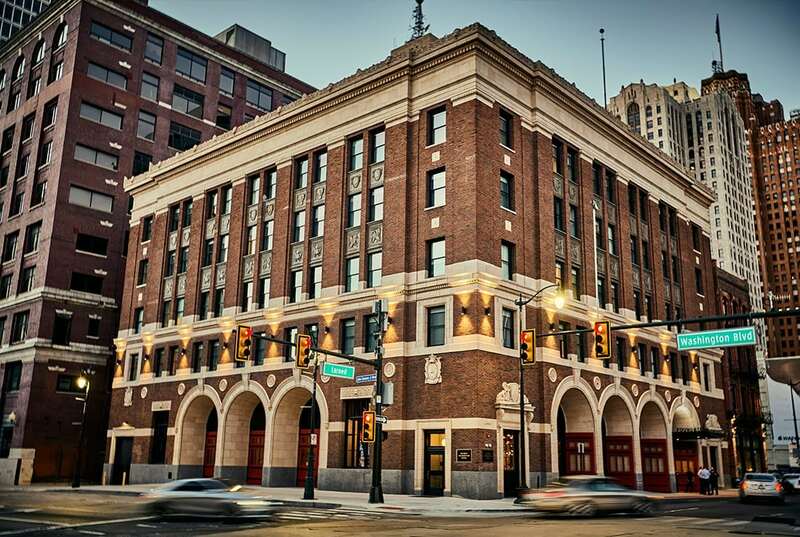 DETROIT FOUNDATION HOTEL served as the city’s main fire station and was in operation in various fire-related capacities until 2012. 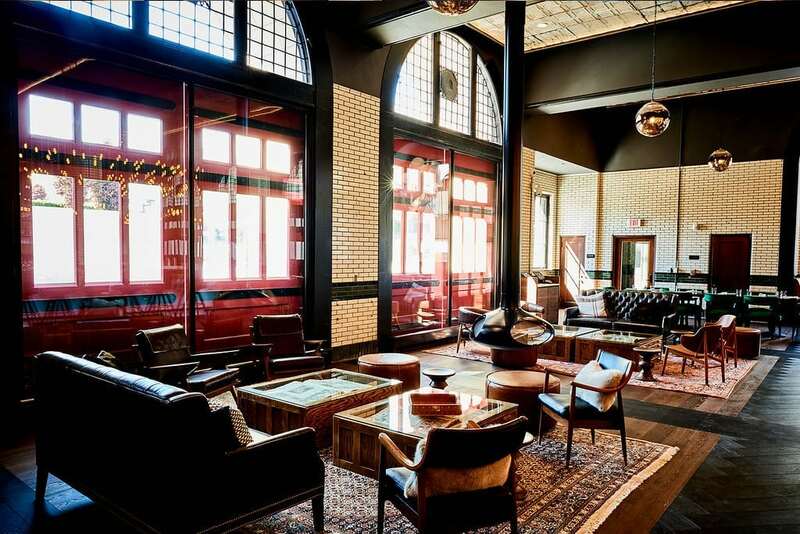 Under the artful direction of Simeone Deary, the station has been converted into a modern 100-room hotel near the waterfront. THE SIREN hotel beckons from inside the storied walls of the Wurlitzer Building. Located on Broadway Street, the 14-story showstopper has been completely restored and boasts 106 incredible rooms. 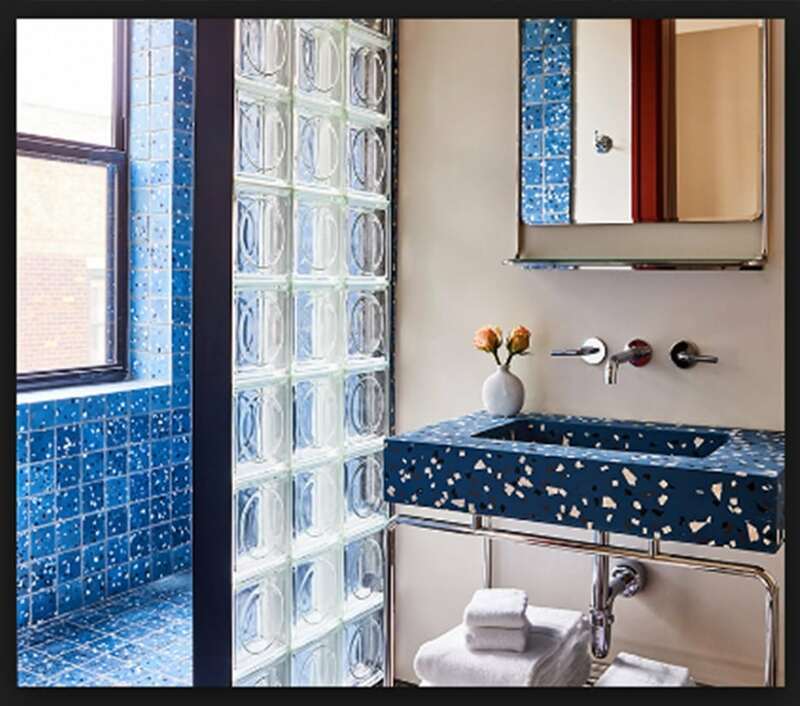 The design team from ASH NYC has blended vintage and custom design elements (like the colorful terrazzo tiles that caught Jay’s eye) to achieve a decidedly modern interior that is simultaneously plush and polished. 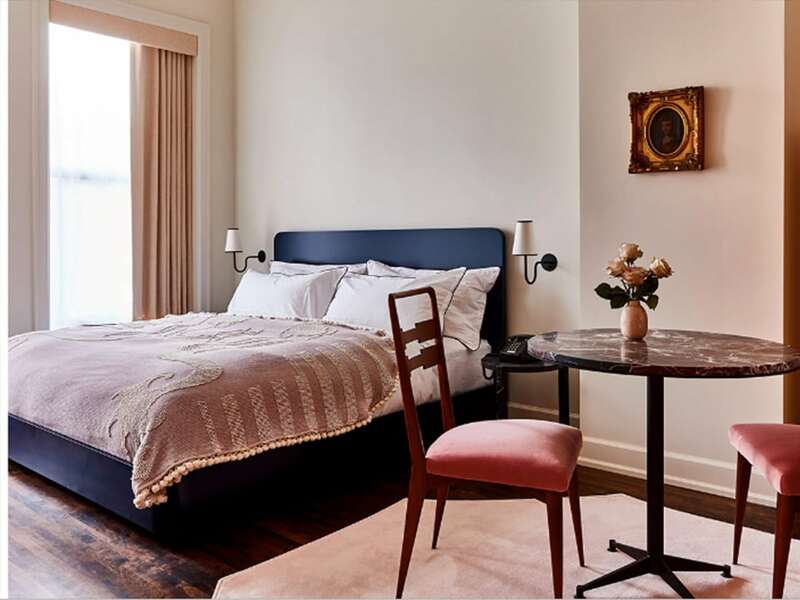 Rooms are equipped with modern amenities and special touches like custom Italian linens and toiletries that are exclusive to the hotel. Work from Detroit photographer Bill Rauhauser is featured in the hotel as well as works by artist Quentin Jones. “I’m so impressed by the way the developers and designers preserved the architecture of the building and then created a new chapter for it. 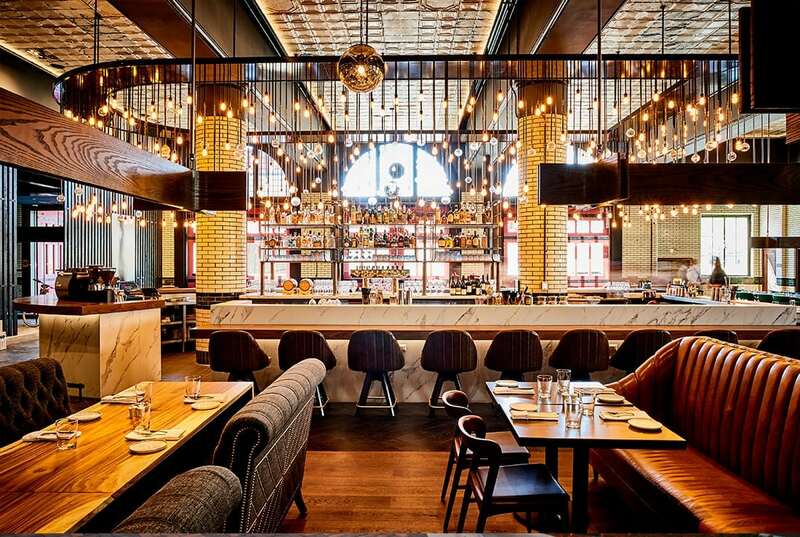 The design is fun and modern,” says David Charette. Want to learn more? We thought so. 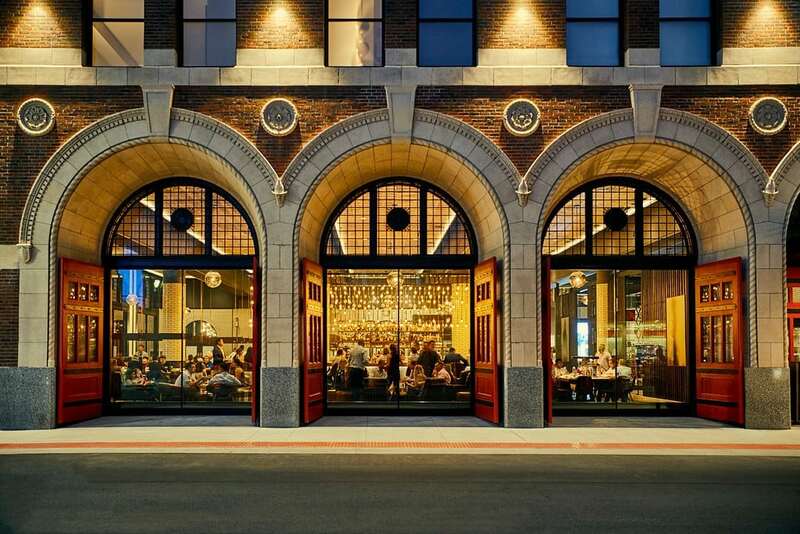 Watch a short video of the DETROIT FOUNDATION HOTEL here. You can also follow them on INSTAGRAM and FACEBOOK. 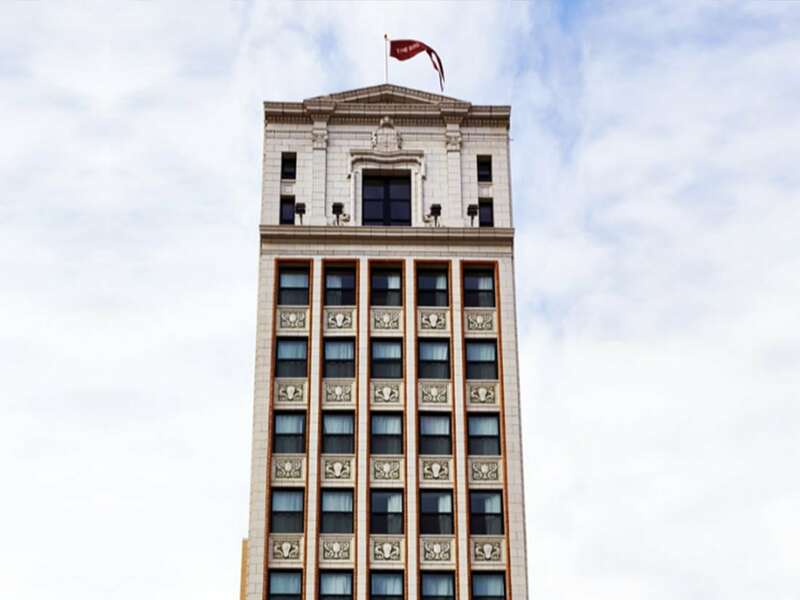 You can also find great information about THE SIREN and the famous Wurlitzer Building here. And don’t forget to follow them on social media: INSTAGRAM and FACEBOOK. And just in case you’re wondering…we don’t accept any kind of payment for the products we highlight or feature on our blog. No paid advertising, no pay-per-click. Just our design team’s honest sharing of what we love.